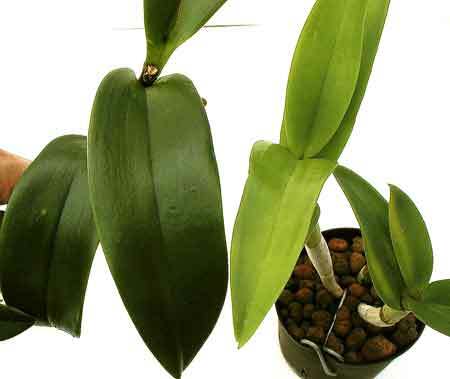 All plants need light to live, and this is especially true for orchids. 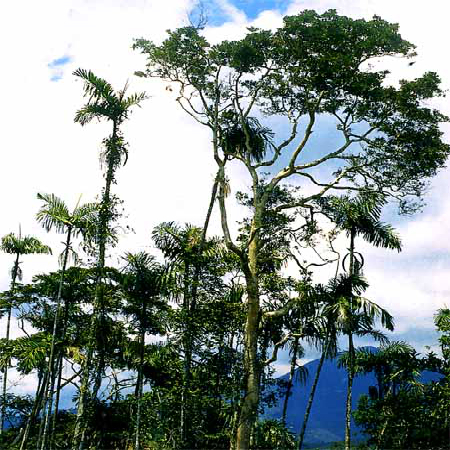 In nature, many orchids grow high in the trees of the tropical forest where they enjoy lots of light. Your orchids growing at home need lots of light too! It takes energy to produce those magnificent flowers - and the only place your orchids get energy is from the sun. So if you want your plants to bloom, you're going to have to give them proper light. There's no substitute .... if they don't get enough light they simply won't have the energy to produce flowers. The #1 reason orchids don't bloom is not enough light. Leaf color is a good indicator to determine if your plant is getting enough light. Orchids leaves should be bright green and rigid. Dark green leaves are a sure sign of insufficient light. They look good but the plant probably won't bloom. Bright green leaves indicates plant is getting adequate light. You can a pretty good idea of the light level around your plants by holding your hand about 1 ft above a plain white sheet of paper, during the brightest time of the day, and observing the shadow. High Light: The shadow is dark and well defined. Medium Light: Shadow color is lighter and shape is fussy. Low Level Light: Hard to see any shadow. Orchids are generally grouped into 3 different light categories: high, medium and low light. How much light your orchid needs depends on what kind of orchid it is.